Our printing options don't just limit you to a sign or banner! We can also print on tables! 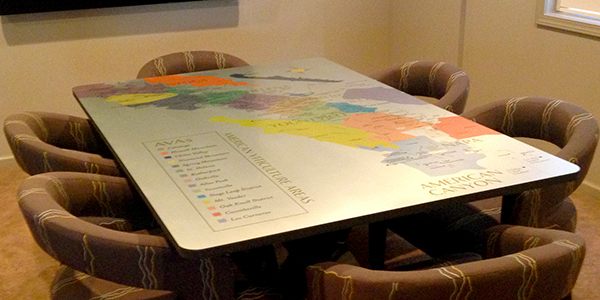 This table was printed with a map of wine country! It makes a great talking piece during this customer's wine tastings! 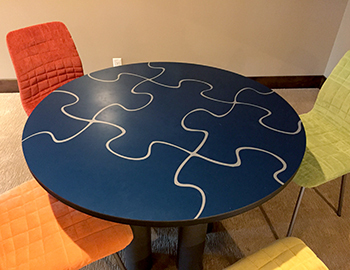 This table was created with the same process as the table above, however the texture was custom designed and printed by the homeowner. 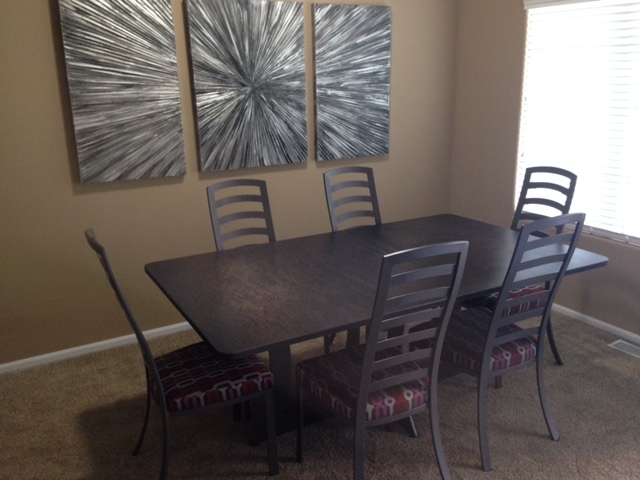 This beautiful table was done for Silverstone, Inc. This table was printed on 1/8" brushed silver dibond. We then router it and adhered to an existing table top. No matter what table game you are into, we can create a custom table to fit anyone's needs! Support your favorite team or place a custom design on it, like this one! Who's ready for a puzzle? Brighten up your office with a custom table with your company logo on it! Creates branding for your company and adds some character to your office!